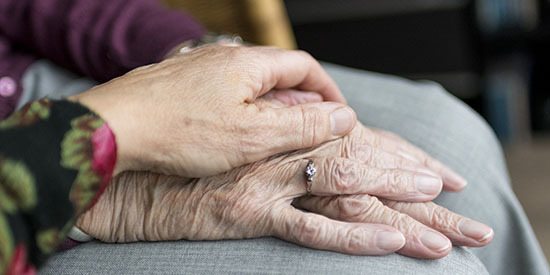 Completing an Advance Care Plan with a GP should be as much a part of routine healthcare as breast screening or blood pressure checks, if we want to promote autonomy and dignity in end-of-life care, according to a Deakin University end-of-life-care expert. Senior Lecturer Dr Melissa Bloomer, from Deakin's Centre for Quality and Patient Safety Research within the Institute for Health Transformation, said Australians were reluctant to talk about death and dying, which often led to challenging decision-making at the end-of-life. But Dr Bloomer said completing an Advance Care Plan was a crucial way older Australians could have a say in the type of care they received, including where and how they die. Advance Care Planning Week runs from 1 to 5 April and Dr Bloomer said with the concurrent public conversation around the aged care royal commission it was the perfect opportunity to start discussions about the kind of care older people wanted to receive in later life. "Advance Care Plans should be strongly encouraged, with standard templates available to the public in each state," she said. "An Advance Care Plan gives a person the opportunity to record their values and priorities that could guide future care decisions, in the event the person is not able to voice their preferences for the type and extent of care they wish to receive. It can also guide decisions around the place of care or place of death. "Important legislative changes introduced in Victoria last year mean whenever someone is admitted to a health service the clinician is required to ask if they have an Advance Care Plan, ensure it is included as part of the person's health record, and that the wishes and preferences are followed." Dr Bloomer said this legislation gave Advance Care Plans significant statutory recognition, an important step forward given her research from a decade ago which showed that Advance Care Plans were used by less than 1 per cent of those admitted to health services. A more recent study of Dr Bloomer's into end-of-life care in hospitals, showed that data related to Advance Care Plans were so inconsistently recorded that she was unable to make any assumptions about the frequency of their use. "As much as we know how good they are, we're not seeing them," Dr Bloomer said. "It's critical these forms are filled out by people while they're still well and can make decisions about their future. "In an ideal world, all Australians would have conversations with their family about their wishes and preferences, then complete an Advance Care Plan. Ideally, Advance Care Plans should be discussed and completed routinely, perhaps as part of an annual check-up with the GP." Dr Bloomer said it was important the form was filled out alongside family, or shared with them, so they understood the wishes. "If people are thinking about aged care, an Advance Care Plan can also be used to express the preferences for the level of care or intervention they would be willing to receive," she said. "The plan starts with a simple question - what matters most in my life? "If that's living independently in your own home that might guide decisions on whether you would consent to certain things. Whether you want to be admitted to an intensive care unit, for example. "An Advance Care Plan can also be revised as a person's situation changes. But it's important we start these conversations early." Dr Bloomer said it can be confronting to have these discussions, but the alternative was worse. "When families never have these conversations you don't know what the person's preferences are and that just makes things more stressful when decisions do have to be made on their behalf," she said. "We're living longer but not necessarily healthier, with multiple chronic illness, increased rates of disability, diabetes, and heart disease. "That means it's critical we get aged care and end-of-life-care right."